The role of effective communication in a workplace cannot be overstated. It is crucial for success. Just like a relationship cannot prosper without open communication, a business cannot succeed without well-organized communication. The quality of internal communication speaks a lot about the company and its work culture. Poor communication is perhaps the biggest hindrance to the success of a company, and adequate steps must be taken to address it. 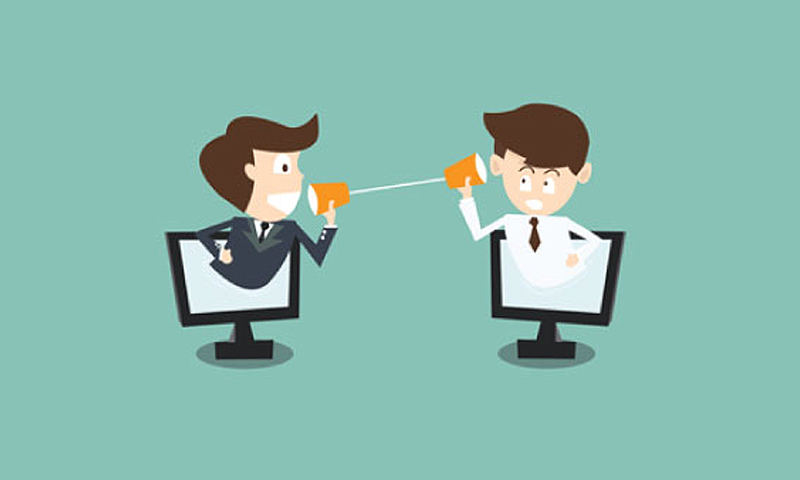 Thanks to advanced communication channels, workplace communication has improved to a great extent. Here are some ways to make workplace communication strong and efficient. Checking in with employees is crucial. Employers should meet their employees regularly, be it in-person or through team messaging apps. Employees should be invited to discuss projects, tasks, and sometimes their experience with the organization as a whole. They should be heard. It will improve internal communication within the organization. New employees often find it difficult to learn about the internal operations and management of an organization. As most companies work in a specific way, there should be a built-in training program, readily available to new joinees, making internal documents easily available. This is a great way to keep the communication channels flowing. Workplace communication ideally should be convenient, real-time, seamless, and easy. Emails may be a popular channel for business communication, but not every piece of communication warrants an email. Business enterprise apps are a popular way to communicate within an office setup. They are very easy to use to send individual or group messages to clients or teams, discuss projects, share files and folders, and perform similar tasks. Such collaboration software and messaging platforms enable teams to make faster decisions by reducing time spent on meetings. One of the biggest hindrances that employees face is communication with their managers and CEOs. Due to hesitation and discomfort in approaching the boss, many employees don’t bring up important points, blocking the flow of communication. Establishing an open door policy makes the employee more comfortable, bringing a lot of things to the manager's attention immediately. It is also a great way to motivate employees. There is no scope of improvement if you don’t know where you are lacking. From time to time, employers should assess their communication methods, such as emails, phone calls, messaging apps, team chat apps, social media, and in-person communication. They should sort out the ones that are useful and discontinue ones that are time-killers. For example, email may be the best way to communicate with someone professionally; however, long email trails may mar an employee’s productivity. Communication is an indispensable part of our life, be it at home or the workplace. Therefore, for better productivity at the workplace, we need to constantly work on improving communication methods.